Hello this is currently not started yet, but i would like to show you guys what i have been collecting for about a year now. I am recieving a monthly package with some parts to the Deagostini wasa 1:65. I am waiting for all the parts and knowledge i might be able to learn before i will start to build it. It is one of my favorite ships and i want to do it justice before i begin. But here are some photos of the parts and research material i have collected so far. It is looking like a quality kit, so I am looking forward for your start. I have also the book Vasa 1, mainly written by Frederick Hocker, who was, or still is the curator oft he museum in which the Vasa is served. Originally it was planned, when the book was published, to publish also further books, somehow a series of basic books about the Vasa. Unfortunately the first book „Vasa 1“ is showing mainly the accident, the wreck finding and lifting and status of the found timber, elements etc.. It is not so much showing the construction details of the ship. Interesting book, but only partly helping in the construction of a model. Since years I am waiting for the next book, maybe somebody of you know the status? How long you have still to wait, until you have the parts complete?means how long we have to wait for your first construction report? this looks like a great model. 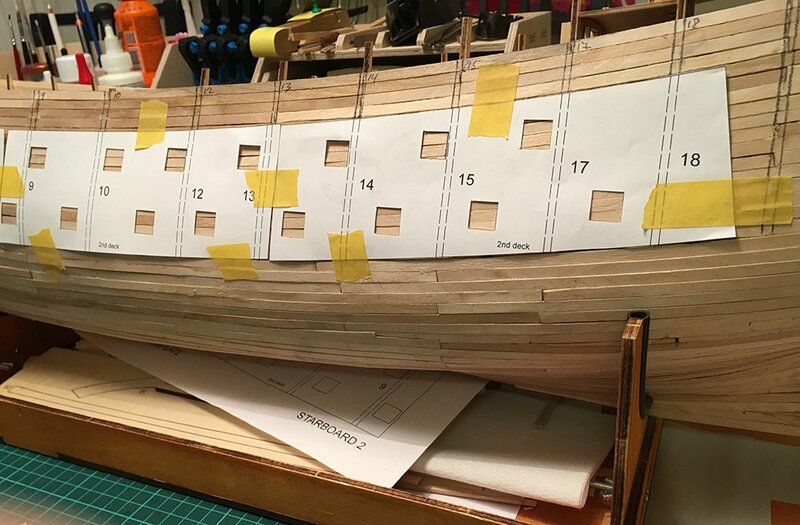 Whats the length of the hull from bow to stern without bowsprit ? I have visited the Wasa museum and its a most impressive thing to see. Very nice looking kit? How many instalments are there too it? Thanks for showing. I am building this model and have done most of the hull. Brian; it's 80 cm long. Frank; A good thing you are waiting that long before you start the build, as this comes in monthly (and in some countrys, weekly) deliveries the building sequence is sometimes a little backwards. 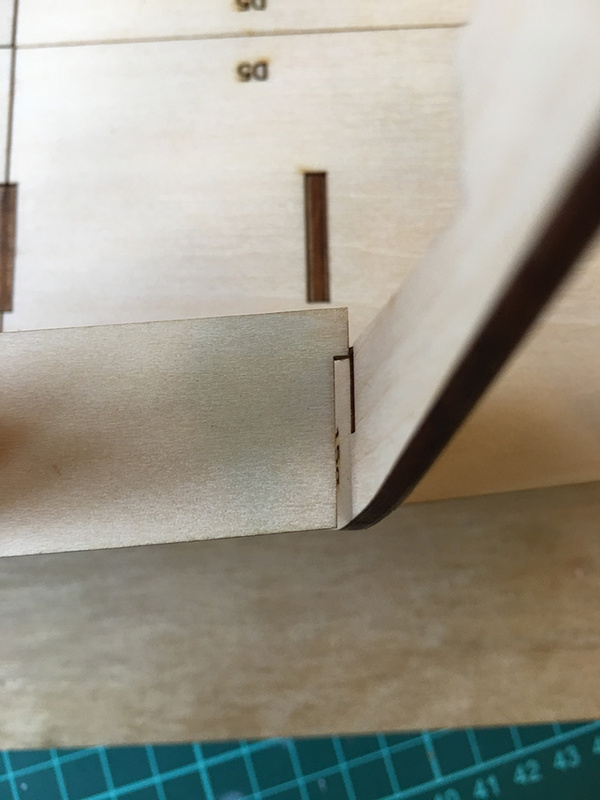 Frame 9 is too wide, you'll have to sand it down. The cannonports. On your porthole template the ports are rendered to be parallel to the waterline. This is wrong! they should follow the curve of the planks! 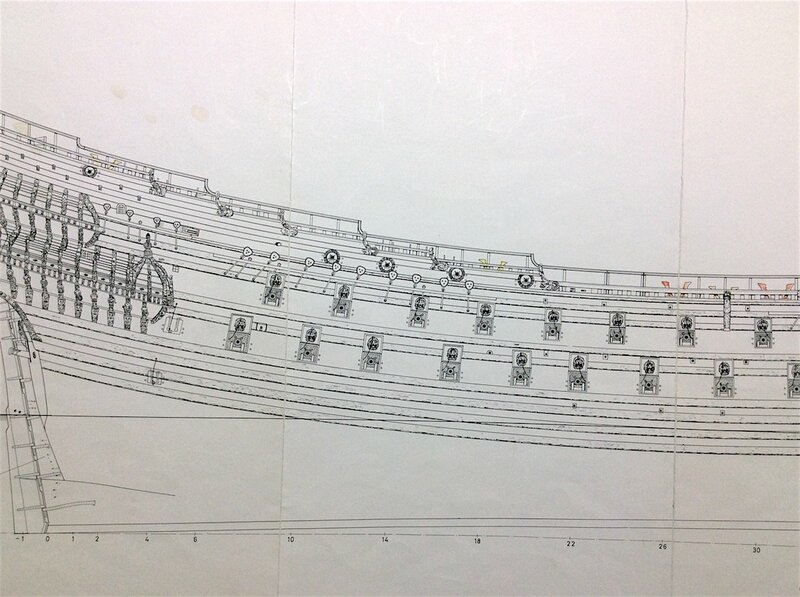 Regarding the "old plans" of Vasa you might find some good info at Fred Hockers forum here. The drawings was done before they had investigated the wreck thoroughly. But check for yourself, my memory might be off.